There are times in life when doing a Tarot reading may be inconvenient or impossible. For example, you’re on a camping trip with your uber-religious family who shuns Tarot and all other fun things. Or you’re bored shitless waiting in the dentist’s office but you don’t have your deck with you. 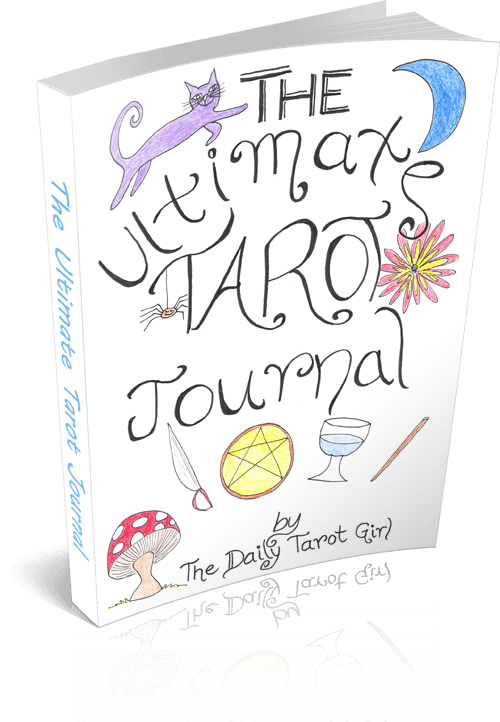 Or you’re just totally pissed off at your Tarot deck and don’t want to consult it today…. I got this idea from Keri Smith’s awesome book Living Out Loud. Step Two: Now, randomly pick a book off your shelf. It could be The Bible or Having the Cowboy’s Baby. It doesn’t matter! This book may contain all the answers to your biggest dilemmas! Step Three: Let the book fall open to any page and let your gaze come to rest on a random sentence. Read that sentence out loud. That is your answer! Sometimes this exercise produces profound results. Other times it’s just good for a laugh. But either way, it’s worth a try. Step Two: Take a good look around you. 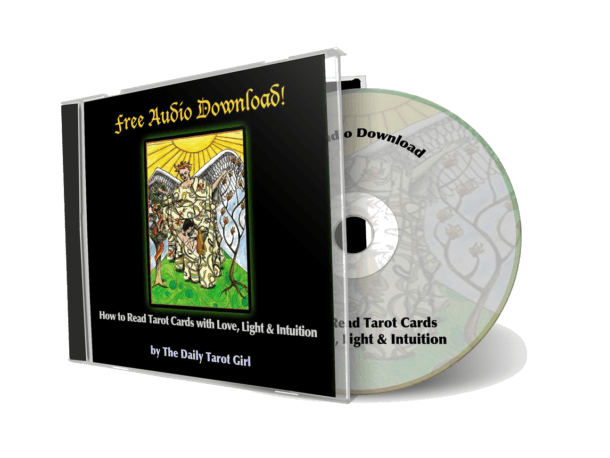 Your environment is like a Tarot card – rich with symbols and secret messages just waiting to be discovered! What do you notice first? What stands out? What symbols are present? What color is most prevalent? What is going on? What is on your left hand side? This is the side of intuition and creativity. What is on your right? This is the side of action and power! Step Three: If there is a message for you in your environment (and trust me, there is!) what would it be? What are your surroundings trying to tell you? I did this exercise last Spring when I was walking along the beach. I asked “what do I need to focus on right now?” and the first thing I noticed was a family of geese, which were flying along. I watched them land in the water, floating gracefully and then diving under the surface. It suddenly struck me how amazing it is that geese get to traverse the world of sky, land and water. I was reminded of the three worlds in Shamanism – the upper, lower and middle earth. At the time I was reading several books on Shamanism and I took this as a clear message that I was to keep on reading this stuff. Also, not to be afraid to dive deep into the unconscious world of dreams and meditative journeys. 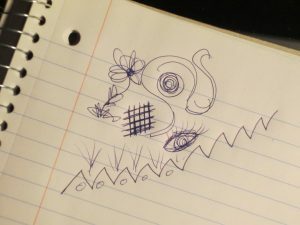 You know how when your listening to someone on the phone you sometimes scribble little drawings without realizing it? These scribbles can be a goldmine for illustrating what’s going on in your subconscious mind! You can do this exercise by yourself or with a friend. Step One: Get out a piece of paper and some crayons (or a pencil if the idea of crayons gives you the creeps). Put on some nice music and sit at your table and just draw some stuff. Don’t think too hard, just let your mind wander. Don’t try to draw something “good”. Just doodle! Step Two: If you’re doing this with a friend, you can trade drawings and then proceed to “read” each others pictures in the same way you would read a Tarot card. If you are doing this alone, then you would just “read” your own picture. Pay attention to what you are drawn to. What color stands out? What symbols speak to you? What is the general feel of the picture? Does it seem to be saying something specific? Often, the pictures we draw illustrate what is going on for us in our inner and outer lives. I first did this exercise years ago in a workshop called Exploring Your Psychic Self. The woman who I was partnered with swore she had no psychic abilities whatsoever, yet she was able to spell out my deepest wishes and desires just by looking at my drawing. A drawing that looked like it was drawn by a five year old on acid. So there you have it! Three totally new ways to have fun with your intuition. 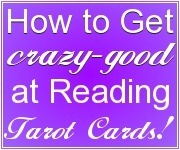 No Tarot cards required! In the comments below, tell me which exercise your going to try today :)….. 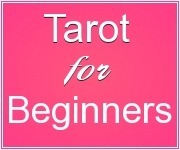 This entry was posted in November 2014, Tarot Tips and tagged how to read tarot, learn tarot, tarot blog, tarot cards, tarot exercises. Bookmark the permalink. I LOVE this book idea so much that I tried it out and wrote a blog post on my results. I am pretty taken aback by the answer because it was so loud & clear. thanks for the inspiration! I may try this every week. It was so much fun. Sorry that last was the link to my blog. Here’s the direct link to the post. Also a few of my book friends are trying this now with amazing results! Thanks again. I am not vegan myself, but I eat mainly vegan (its a nice compromise). 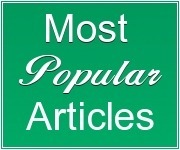 Thanks for the links and for visiting my blog. I do have a love of weird books (and other things!). I’ve visited ohsheglows many times but hadn’t heard of the other two!. I’m going to start out by going “mostly” vegan and go from there. Thank you, Kate, this is a wonderful post! Very helpful in reminding us how we are connected at all times to our environnement! Glad you enjoyed it, Renee! How cool! I’m going to try the doodle exercise with my youngest son. There’s been a few times where my angles have given me messages thru him so I think this exercise would be fun to try with him. Thanks Kate! I’ve done the 1st exercise a bunch of times with great results! Even a magazine is great as well. I always carry a four color pen and a non-lined notebook with me. Because notes become doodles and more! Yes! That’s very true! You just reminded me of those really thick pens in the 1980’s that had all the colors in them and you could pick your color by pressing a button on the top.